On March 9, 1799, the government issued its first contract for pistols to Simeon North of Berlin. The contract specified 500 horse pistols be made at a cost of $6.50 each. Before 1799, North had manufactured scythes and other agricultural instruments, but after being awarded the government contract, his business grew rapidly. North moved the business from Berlin to Middletown, erecting a new factory on Staddle Hill at a cost of $100,000. North is often credited for his role in the development of interchangeable parts and for devising one of America’s first milling machines. The machine shaped metal mechanically, eliminating tedious hand filing and allowing North to produce identical parts. 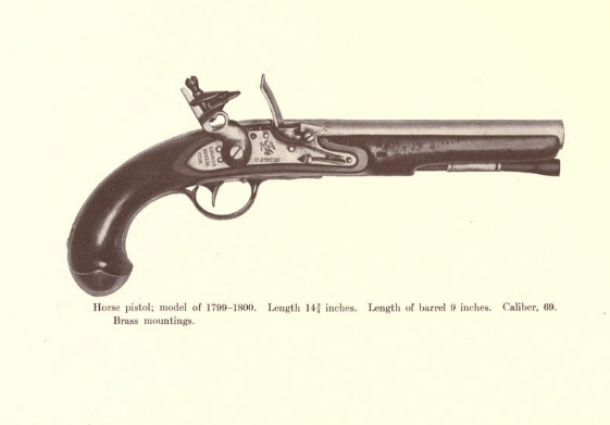 By 1813, North had signed another government contract to produce 20,000 pistols.